Contact Address: B-24, Brahmapur, Northern Park , Kolkata - 700070, West Bengal, India. Profile of Mr. Samir Roychowdhury .. Birth Place: Panihati, North 24 Parganas. A founder member of Hungry Generation Movement (1961). Edited several periodicals, at present editor of HAOWA 49. B-24, Brahmapur Northern Park, P.O. Bansdroni, Kolkata – 700070. Phone: 033 2410 4315, Mobile: 09831140435. (Till now 38 issues published). Author of several books including collection of poems, short stories, essays etc. Falguni Roy Samagra, which includes Falguni Roy’s poems, prose pieces and essays by several critics of Falguni’s writings. Postmodern (Adhunantik) poetry collection Vol.1 and 2 which includes 151 Bangla Poets work translated in English. 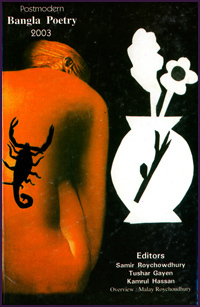 Postmodern (Adhunantik) short story collection of Bangla Writers (101), translated in English. 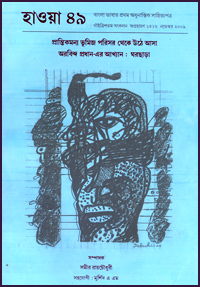 Edited “Adhunantik Bangla Kabita”, a collrction of 151 poems translated in Hindi. Edited a Nepali collection of Bangla and Nepali writers during sixties. Edited Hindi collections of “SANGKRAMAK”. Co-editors of a Book on Poet Jibanananda Das in Kannar. ‘Khul Ja Sim Sim’, etc. 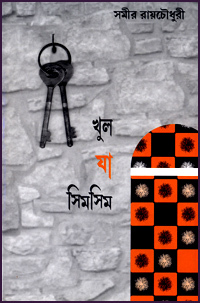 “Golpobiswab” Edited and published by Aloke Goswami. 20 Astuloshed Mukherjee road ,College para, Siliguri -734001, Mobile No 09434196622 , Essays on Samir Roychowdhury’s writings. 'BODH', March 2009, Vol 50 (supplement on Samir) Edited by Aroon Kumar Chattopadhyay.